SAN DIEGO – March 5, 2019 – CUSO Financial Services, L.P. (“CFS”) today announced that it has renewed a multi-year contract with Allegacy Federal Credit Union (“Allegacy”) of North Carolina, thanks to the broker-dealer’s award-winning offerings and results-driven support. The firm also announced record revenue in 2018 following contract renewals with more than a dozen of its largest credit unions representing nearly $36 billion of assets and 2.4 million members. Allegacy boasts $1.47B in assets and more than 148,000 members. Since 2002 its investment program, working together with CFS, has achieved nearly five percent member penetration with $1.2B of assets under management (AUM), a nearly one-to-one ratio with its asset base. CFS offerings to credit unions are marked by a strong focus on credit union collaboration and innovative multi-channel and remote delivery technologies. CFS and its holding company, Atria Wealth Solutions, continue to enhance their award-winning paperless account management platform, dataVISION®, and integrated client portal, MyPortfolioView, earning praise from existing and new programs alike. CUSO Financial Services, L.P. and Sorrento Pacific Financial, LLC (Members FINRA/SIPC) are full-service broker-dealers and subsidiaries of Atria Wealth Solutions. Established in 1997, they specialize in placing investment programs inside credit unions and banks, providing customized investment and insurance solutions to over 200 financial institutions throughout the country, with $30+ billion in AUA. Headquartered in San Diego, with branch offices nationwide, both broker-dealers are SEC Registered Investment Advisors, with expertise in key areas including retirement services, wealth management, advisory solutions and insurance products for individuals and business customers. For more information, see cusonet.com, or LinkedIn at CUSO and SPF. About Allegacy Federal Credit Union. For 51 years, Allegacy has helped its members, employees and the communities it serves be their best by helping people make smart financial choices. By doing right, Allegacy has become one of the largest credit unions in North Carolina serving more than 148,000 members worldwide with over $1.4 billion in assets and an additional billion dollars in assets under management in its financial planning group. With roots in Winston Salem, Allegacy has 16 locations and eight high school student-run credit unions. Allegacy offers personal and business financial services to help a broad membership base including the employees, retirees and families of over 1,800 companies throughout the country be their best. To learn more, visit Allegacy.org. NEW YORK – February 7, 2019 – Atria Wealth Solutions, Inc. (Atria), a multi-channel wealth management solutions holding company, announced today that it has hired Brian Nelson as Head of Practice Management at Cadaret, Grant (an Atria subsidiary company). Nelson is charged with designing, developing and implementing the newly-established practice management division at Cadaret, Grant. This new division will focus on providing advisors with the tools and resources to support their growth and optimize their practices. Nelson has over 20 years of experience coaching hundreds of financial advisors and teams, and helping them build, grow, and transition successful practices in an increasingly complex business environment. Nelson founded Pratica Consulting, an independent, third-party consulting firm that specialized in advisor practice management, strategic consulting, and sales strategy. He previously held executive leadership roles at Advisor Group, Fidelity Investments, and Pioneer Investments. Atria Wealth Solutions, Inc. (Atria) is a wealth management solutions holding company focused on delivering a clear path to the future of financial advice for advisors and their clients. Headquartered in New York City, Atria’s subsidiaries empower financial institutions and independent advisors with a sophisticated set of tools, services, and capabilities that drive growth. Atria’s subsidiaries include Cadaret, Grant & Co., Inc., CUSO Financial Services, L.P., and Sorrento Pacific Financial, LLC, which together support over 1,400 financial advisors with more than $50B of assets under administration. For more information, please visit www.atriawealth.com. New York, NY and Houston, TX – January 08, 2019 – Atria Wealth Solutions, Inc. (Atria), a wealth management solutions company with subsidiaries that serve independent financial advisors and financial institutions, today announced that it entered into an agreement to acquire NEXT Financial Group, Inc. (NEXT), an award-winning independent wealth management firm based in Houston, TX which serves over 500 independent advisors with approximately $13 billion in assets under administration (AUA). Atria will acquire 100% of NEXT and 100% of NEXT’s sister companies Next Financial Insurance Services Company and Visionary Asset Management, Inc. After the close of the transaction, Atria, through its subsidiaries, will serve nearly 2,000 advisors with approximately $65 billion AUA. Atria will continue investing significant capital and resources in technology, product solutions, services and support to ensure advisors’ and clients’ demands are being met and exceeded. Some of these new capabilities will include advisor/client collaborative technologies, an optimized advisor portal, upgraded client-facing capabilities and streamlined business processes and analytics. NEXT Financial Group, Inc. is an independent broker-dealer servicing over 500 independent financial advisors throughout the country. 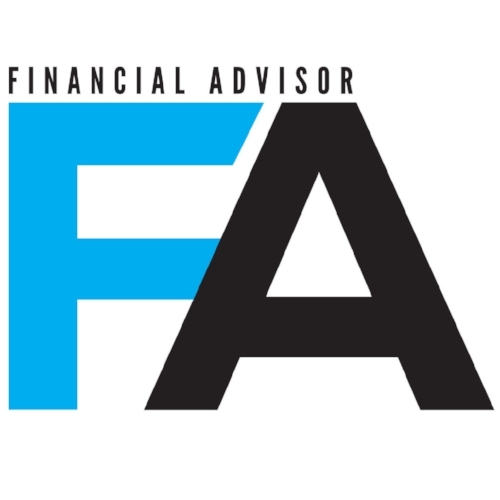 An 8-time Broker Dealer of the Year Award recipient from Investment Advisor Magazine, NEXT also received WealthManagement.com’s best-in-class Service Award in 2016 and the Industry Award for Transition Support in 2017. The firm continues to build upon its unique culture to better serve the needs of independent financial advisors and their clients. NEW YORK – December 20, 2018 – Atria Wealth Solutions, Inc. (Atria), a modern wealth management solutions holding company, announced today two key additions to its executive management team – John Picone as Head of Investment Solutions and Sean Meighan as Head of Advisory Services. As Head of Investment Solutions, Picone will oversee the investment product menu and selection process as well as product sponsor relationships enterprise-wide. His vast knowledge across a wide spectrum of investment products, coupled with his team of product specialists, will support the advisors and programs of Atria’s subsidiaries in their efforts to deliver superior and suitable investment solutions to their clients. Prior to joining Atria, Picone was a Managing Director at Morgan Stanley and served in the United States Marine Corps. As Head of Advisory Services, Meighan will manage the advisory services platform across Atria’s subsidiaries – working closely with advisors and cultivating opportunities and solutions with strategic partners to enhance and complement existing managed account offerings. Previously, Meighan served as Vice President, Advisory Sales, Consulting and Platform Development, at Lincoln Financial Network (LFN), including its subsidiary broker-dealers, where he oversaw sales and strategic planning for LFN’s wealth management initiatives. NEW YORK – December 13, 2018 – Atria Wealth Solutions, Inc. (Atria), a modern wealth management solutions holding company, today announced two key additions to its management team - Robert Holcomb as Chief Marketing Officer and Kaitlin Connor as Head of Digital Solutions. “As we enter an important growth phase of our firm, the story of how we’re doing things very differently from others in our industry and the value behind our ideas needs to be told. At the same time, our rollout timeline for digital technology is ambitious and we are at a pivotal juncture to drive the industry forward. Bob and Kate are critical and welcome additions to our team,” said Eugene Elias, COO and Founding Partner of Atria Wealth Solutions. “Our focus is on delivering an extraordinary experience to advisors and their clients. Bob is the right person to tell our story and explain how we are unique in the current broker/dealer landscape — and do so in an impactful way,” Elias said. As Head of Digital Solutions, Connor will be responsible for launching and managing new digital programs for advisors. Connor has extensive experience in digital product management and development, specifically in the financial services sector. Her expertise in product conception and consumer trends will benefit Atria’s subsidiaries through the development of sophisticated digital tools that are optimized for business development. “I am passionate about an approach to product development that is user-focused, iterative, and innovative. I’m thrilled to join Atria’s growing technology leadership team and look forward to creating an unmatched experience for advisors that is superior from a user experience perspective,” Connor said. Before joining Atria, Connor was Senior Product Manager, The Customer Office, for Prudential Financial, Inc. In this role, she focused on ideation, strategy and long-term product blueprints for Prudential’s digital brokerage and robo-advisory platform. NEW YORK, NY–December 06, 2018–Atria Wealth Solutions, Inc. (Atria), a wealth management solutions holding company, announced today it has moved its new headquarters to midtown Manhattan. The 295 Madison Avenue location accommodates Atria’s current and future hiring plans and is designed to attract top talent inside and outside the industry with an open and dynamic work environment. SYRACUSE, N.Y.–November 20, 2018–Cadaret, Grant & Co., Inc., a subsidiary of Atria Wealth Solutions, announced today that it is launching a jumbo mortgage loan and lending solution program for advisors and their clients through a strategic partnership with BNY Mellon. These advanced lending capabilities will provide Cadaret, Grant advisors with the ability to structure personalized lending solutions to meet the ongoing needs of their high net worth clients and become a key component in delivering comprehensive financial solutions. Cadaret, Grant’s growing advisor base will now have the ability to offer jumbo mortgage and lending solutions to meet the specific needs of their high net worth clients. These solutions provide flexible access to funds for financial opportunities, unexpected life events or strategic financial positioning. Cadaret, Grant, an independent broker/dealer headquartered in Syracuse, New York, is a wholly-owned subsidiary of Atria Wealth Solutions and supports more than 800 financial advisors in 459 branch offices nationwide. Founded in 1985, the company provides superior service, advanced technology, effective marketing tools, and a supportive business environment for financial advisors. For more information about Cadaret, Grant, please visit www.cadaretgrant.com. Atria Wealth Solutions (Atria) is a wealth management solutions holding company focused on elevating the end-to-end experience for financial advisors and their clients. Headquartered in New York City, Atria’s core mission is to empower financial advisors with a next-generation set of tools, services and capabilities that drive growth in today’s rapidly changing wealth management environment. Atria, through its subsidiaries, supports over 1400 financial advisors with more than $50b of assets under administration. For more information, please visit www.atriawealth.com. NEW YORK and SYRACUSE–October 4, 2018 – Atria Wealth Solutions (Atria), a wealth management solutions holding company, today announced that it has closed the acquisition of Cadaret, Grant & Co., Inc.(Cadaret, Grant). Founded in 1985, Cadaret, Grant is one of the largest privately-owned independent broker/dealers in the country, servicing approximately 900 financial advisors and with more than $23 billion in assets under administration. Atria will acquire 100% of Cadaret, Grant and 100% of Cadaret, Grant’s sister companies, Cadaret Grant Agency Inc. and Capital Strategy Group Ltd.
NEW YORK – Aug. 23, 2018 – Atria Wealth Solutions, a modern wealth management solutions holding company, today announced it has hired John Reinhardt as Chief Technology Officer. He will be responsible for managing the evolution of Atria’s technology platform as the firm continues to enhance and build new technology capabilities to better serve advisors and their clients. NEW YORK--(BUSINESS WIRE)--Atria Wealth Solutions, a modern wealth management solutions holding company, today announced it has made several strategic hires to continue its rapid growth, appointing Matthew Bassuk as National Director of Recruiting, Brian Bichler as Head of Platform Experience and Travis Grimm as Head of Program Management. The announcement follows Atria’s acquisition of two broker-dealers, CUSO Financial Services, L.P. (“CFS”) and Sorrento Pacific Financial, LLC (“SPF”), and Atria’s agreement to acquire a third broker-dealer, Cadaret, Grant & Co., Inc., which will solidify the firm’s national presence and multi-channel (independent advisors and financial institutions) offering. The expansion of Atria’s leadership team illustrates its commitment to build a differentiated and industry-leading partnership for advisors, financial institutions and their clients/members. Prior to joining Atria, Matthew Bassuk was the Senior Vice President and Head of Recruiting at Cetera Financial Group. In his role at Atria, Bassuk will be responsible for attracting and recruiting passionate, high quality advisors to Atria’s subsidiary companies. Brian Bichler joins the team as Head of Platform Experience. Bichler will oversee the design and delivery of an integrated and optimized user experience, across channels and through each stage of the financial advisor practice lifecycle. Travis Grimm joins as Head of Program Management where he will lead program management, business analysis and project execution. Today’s announcement builds upon the momentum Atria has generated over the past year including its recent multimillion dollar investment in its award-winning dataVISION® financial advisor and client/member platform. New York City-based Atria Wealth Solutions to buy Syracuse's Cadaret, Grant & Co.
NEW YORK and SYRACUSE – April 19, 2018 – Atria Wealth Solutions (Atria), a New York-based modern wealth management solutions holding company, has agreed to acquire Syracuse-based independent broker-dealer Cadaret, Grant & Co. Inc. (Cadaret, Grant). Founded in 1985, Cadaret, Grant is one of the largest privately owned independent broker-dealers in the country, servicing approximately 900 financial advisors and with more than $23 billion in assets under administration. Atria will acquire 100% of Cadaret, Grant and 100% of Cadaret, Grant’s sister companies, Cadaret Grant Agency Inc. and Capital Strategy Group, Ltd., pursuant to a definitive stock purchase agreement.